David Gergen in his role as executive director of the American Sleep and Breathing Academy has turned his focus to educating dentists who have an interest in treating patients with sleep apnea. This area if treatment has many highly nuanced areas however the areas of education can be easily broken down into 4 main categories. It seems that as the field grows the number of answers to the above questions become more difficult to get. David Gergen has often lamented the lack of objective non vendor sponsored training. Many of the weekend courses that are offered around the country sell out of date equipment or simply do not stick to the literature. The American Sleep and Breathing academy is focused on evidence based, non commercial team training and is on record as the fastest growing sleep academy in the country. Read the material below and I will see you at the meeting in April. The ASBA is the first inclusive sleep academy, meaning we want all of our members to be certified by us as competent providers and practicing in the medical model. 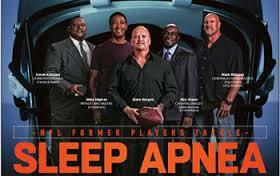 The Academy is home to the most successful dentists practicing sleep in the country. 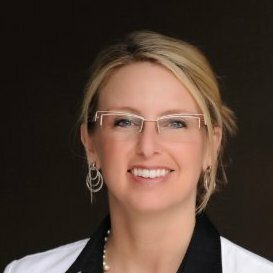 At our annual conference you will have an opportunity to hear from industry powerhouses such as Dr. Erin Elliott, the current ASBA President, who was not even on the sleep radar four years ago, however in a short time, has become one of the most recognizable Dentists in the industry. The conference will feature Dr. Rod Willey, the single most successful dentist in the industry, who still holds the national record for billing 106 cases in a single month; the head of a 3.5 million dollar a year, stand alone, sleep practice. Rod is going to give you a step by step cook book for success. Congressman Marty Russo who will be speaking on how oral appliance reimbursement is increasing with the U.S Government while C-PAP reimbursement has been decreased by another 25%. More importantly, he will be discussing what this means for the industry. Attendees will have the opportunity to meet David Gergen, who is putting dentists with NFL greats around the country for treatment of OSA. Just last month, Gergen’s public awareness event, in Phoenix, AZ, was attended by over 3000 people to learn about treatment of OSA. The office made over 260 appointments. In addition to these VIP guests that you’re able to learn from, chronic care management opportunities will be presented by Dr. Miller. All this is only available to members of the ASBA. 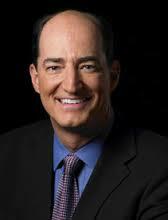 Dr. Kent Smith who, at one time, paid $180,000 a year on radio marketing ads to generate 20 patients a month. Kent’s new philosophy is to use chronic care, and an integrated system with medical specialists in his area, to generate over 30 appliances a month. This frees up time and resources to allow Kent to take lavish vacations to Italy and enjoy more time with his family while the practice continues to grow. Kent will share his valuable insights on the success of a dental practice at the ASBA meeting. While all this may seem overwhelming for any greenhorn in the industry, fortunately the annual meeting has something for you as well. There will be staff training for intro to sleep, medical billing, and one on one time with doctors for intro to sleep. Doctors who, just three years ago, were in your shoes and are now making an honest and rewarding living with ASBA training. the need for oral appliances. His revolutionary process and successful outcomes have made Kevin one of the top sleep doctors in the world. This is a rare opportunity for you to learn from a true expert in the industry. His 30 years of experience personally trained by Dr. Robert Rickets and Dr. Ed Spiegel puts Kevin a whole other league.